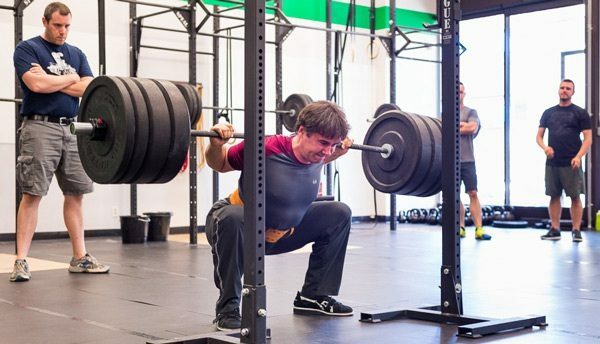 Mark Rippetoe teaches the squat clean by adding the front squat to the power clean taught in the Starting Strength Method. Mark Rippetoe shows you a simple way to find the correct grip width for your bench press. 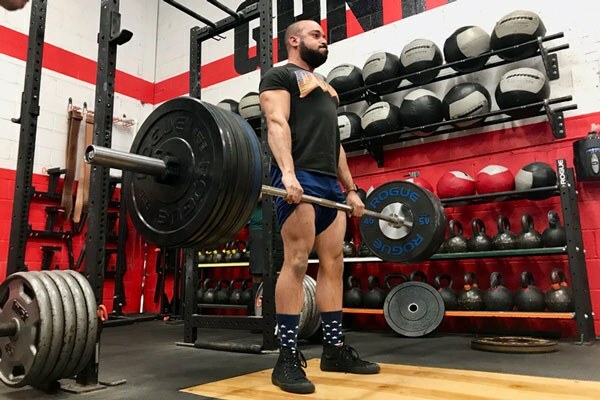 Protein and Barbell Training – Robert Santana takes on protein, every lifter's favorite macronutrient, covering the basics from amino acids to its place on your plate. Men's Health has a piece on The Texas Method, but see discussion of their interpretation on the Forums. From the Archives: Rip explores preparation for an athletic performance and proposes a new paradigm for the process in The Two-Factor Model of Sports Performance. Inna Koppel discusses the problem of back overextension and how to fix it. From the Archives: In his very popular video, WHY FIVES?, Brent Carter explains the continuum of rep ranges and why sets of five work best for strength training. 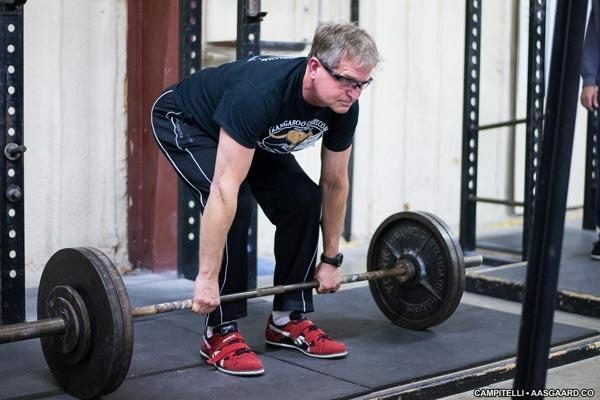 Westminster Strength & Conditioning has been training "everyone from the high-level high school/college athlete to their 80 year-old grandmother to competitive powerlifters and weightlifters" since they opened under Beau Bryant in 2010. 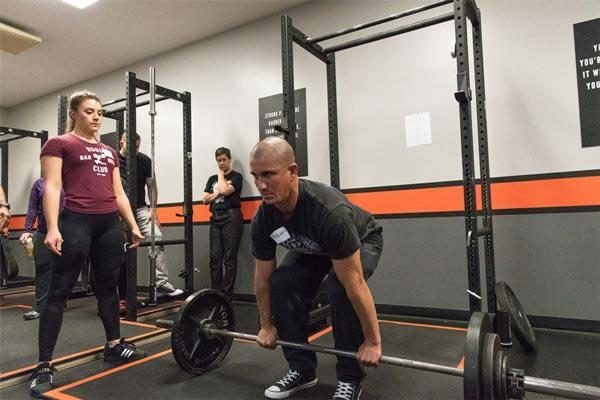 They currently have several SSCs on staff, leading a team that is actively involved in teaching strength training at the gym, the surrounding community, and area schools. I sent this to Diego and Emily directly via email, but I wanted to share it here as well: I’ve been an online client of Emily and Diego at Fivex3 for almost four months now, and it has been nothing short of outstanding. Their coaching, support, and guidance has exceeded all of my expectations. I think the first time I went up to Fivex3 was back in 2015 for a squat camp, and I’ve always enjoyed working with these two amazing coaches. At that time I was somewhat of a noob, and it was really great listening to them give me and the other beginners basic form and programming advice that was extremely useful, and then also hearing how they could seamlessly answer specific questions for a more advanced competitor that was also in attendance. I’ve had it in my head that I want to eventually test for the SS Coaching Credential, and for some reason I thought this meant I should be stubborn and attempt to program for myself. After all, I had read the books, watched plenty of videos, and kept up with the form checks and Q&A sections of the SS forums. This didn’t work out as well as I had hoped. However, I finally decided that I needed professional help, and I preferred to work with Emily and Diego, since I have worked with them in person a decent amount, and really respect their professionalism, knowledge, and abilities. I set up a garage gym at my house back in the fall of 2018, so I really have no excuse to miss a workout. However, sometimes life gets in the way and you just can’t find the time to train, or you just want to go to bed at 6pm. I never let this become a habit, but it was easier to delay a training session when I was just lifting by myself in my garage. Among other things, online coaching provides you with a sense of accountability, and everyone knows that consistency is one of the most important aspects of training. If I miss a session, not only am I letting myself down, I’m letting the coaches down, and am I not getting my full value from paying for online coaching. The initial few weeks as an online client was the typical break-ya-down to build-ya-back-up scenario; the coaches made some adjustments to my form, reset the weights a little bit, and saw how it went for a few sessions, then made other minor adjustments as appropriate. There were definitely some ups and downs with my training during this timeframe, but I knew in the end I had to “trust the process”, which ultimately meant trusting the coaches. After all, they are the professionals. This was something I would have never been able to accomplish on my own. 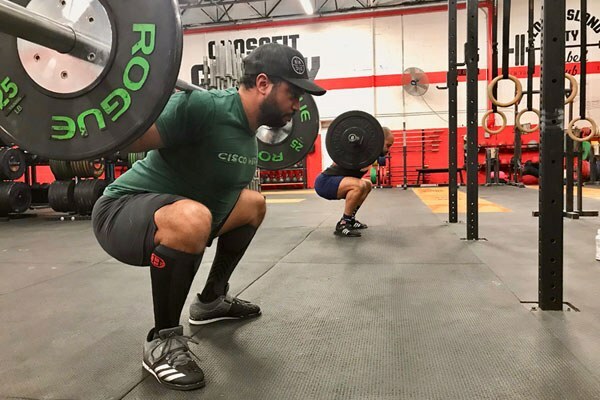 For example, I would crush a heavy set of five on the deadlift, and the following week, I could barely get one rep up with only five additional pounds on the bar. Emily and Diego really took the time to discuss the potential issues and provided the appropriate fixes. This type of feedback and individual attention has been invaluable to me, and is one of the many reasons I have continued to be an online client of theirs. It is very hard for me to explain and write out how important it has been for me to get constant feedback on my lifts. My form is nowhere near perfect, and I usually have the same few issues, but it is extremely useful to get that consistent feedback from the trained coach’s eye week in and week out. I’m lifting weights that I never thought I would be able to and with vastly improved form. The weights always feel heavy, and I sometimes I don’t know how I will keep adding weight on the next workout, but this is why it has been so important for to have a professional objective eye review my lifts and give me the reassurance that I can add more weight next time. Emily and Diego have been certified Starting Strength Coaches for almost ten years, and have been coaching for much longer. You can’t put a value on that type of knowledge and expertise, and the fact that they still take the time (and have the patience) to guide people through their training and goals is a testament to the type of people they are. Emily and Diego are not only the best coaches I’ve ever had, but the best professionals I’ve ever had the opportunity to work with. Hello there, I've been going over your book starting strength for the past couple of days. Now there is a slight confusion I've encountered that if you could elaborate on it will be really helpful. On page 48 [of Starting Strength], you talk about the adductor muscles and you mention that they act (other than adduction) as extensors. But any anatomy book I've checked before says that these muscles are adductors and hip FLEXORS with the exception of the adductor magnus which has a hip extension function. Specifically this sentence is what I don't understand: "..., So the concentric action of the adductor muscles thus produce hip extension..."
I'm sorry if this seems like an irrelevant detail that won’t really affect executing the lifts but I'm just interested in knowing your point on the matter. First I've heard of this. Do these anatomists squat? 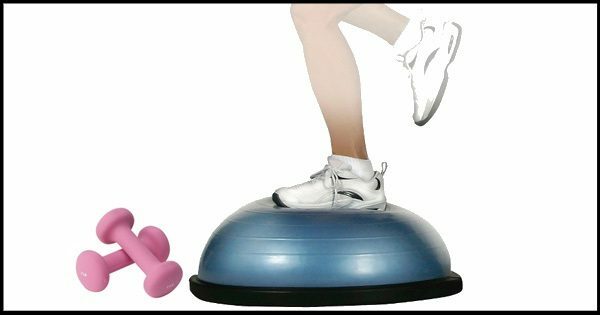 It all depends on the position of the thigh on whether it functions as a secondary hip extensor or not. Our method of squatting causes the adductors to do this, whereas a squat with the toes pointing straight ahead and not pushing the knees out, wouldn't incorporate this secondary action. Don't the adductors connect behind the hip joint? That would cause contraction to extend the hips rather than flex them. I have seen texts that give both an extension and flexion function to certain adductor muscles depending on the location of the muscle's proximal attachment on the pubis. However, because the adductor magnus has a proximal attachment at the ischial tuberosity (the same proximal attachment on the pelvis as the hamstrings), it unquestionably contributes to hip extension. Being that the magnus is the largest and strongest adductor, I don't think it matters much if the other adductors contribute a little bit to either flexion or extension as their contribution is minimal due to their relatively poor leverage in most positions. My copy of Clemente (Anatomy, A Regional Atlas of the Human Body) has a very clear diagram marking the origin of the hip adductors on the anterior aspect of the pubic ramus of the hip and their insertions on the posterior aspect of the femur. Will appears absolutely correct. In the neutral anatomic position (standing upright, arms to the side, palms turned anteriorly) the adductors clearly function as hip flexors. However, in a squat, with the hips already deeply flexed, the adductors would appear to function as hip extensors. The anatomy books presumably describe all muscle movement from the "anatomic position". That's why the hip adductors are described as flexors. It's been a long time since I took gross anatomy but I think Will's interpretation (and SSBBT) is correct. Bottom line, anatomists DON'T squat. They just stand around like mannequins with their hands forward as they get ready to ask for a handout.